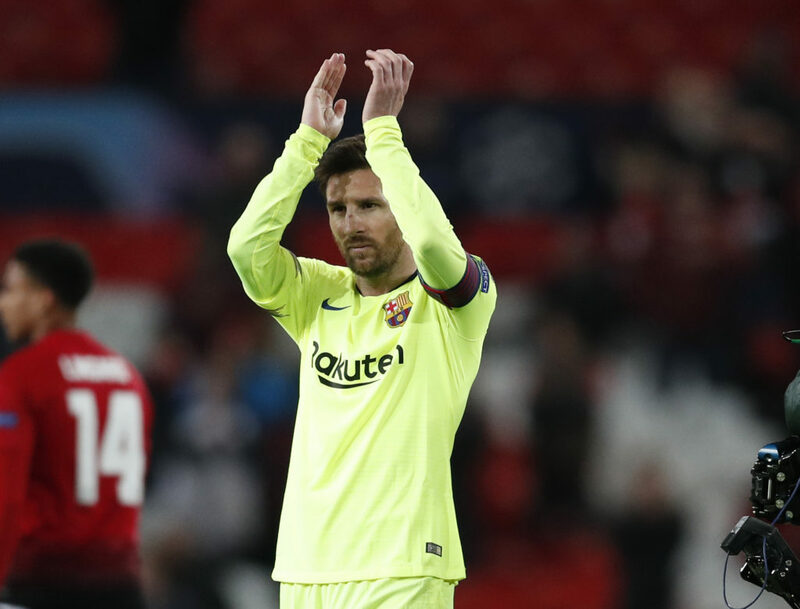 Barcelona v Man United Tips: Can Ole find another Camp Nou comeback? Betting News > Football > Champions League > Barcelona v Man United Tips: Can Ole find another Camp Nou comeback? Ole Gunnar Solskjaer helped Man Utd pull off a famous comeback at the Camp Nou in 1999. Now he needs to inspire his side to another against Barcelona in the Champions League 20 years on. The Red Devils trail 1-0 on aggregate going into this quarter-final second-leg clash. Can they replicate last month’s Paris heroics and squeak through to an unlikely semi-final appearance? We’ve previewed the clash in our Champions League Tips. Barcelona don’t tend to lose at home in the Champions League. Only Bayern Munich have won inside 90 minutes at the Camp Nou since 2009. That’s a run of one defeat in 53 CL matches. We make them 4/11 for another win inside 90 minutes here, with United out at 7/1. A Draw would be no good to Solskjaer’s men in Spain, although a stalemate is priced up at 4/1. A 1-1 scoreline is 17/2, with 2-2 at 16/1. Ernesto Valverde could stick with the same XI that won 1-0 at Old Trafford. But that seems unlikely. One of Sergi Roberto or Arturo Vidal is expected to come in, with preference seemingly for the latter. Ousmane Dembele may also be handed a start up-front in place of the misfiring Philippe Coutinho, with Luis Suarez and Lionel Messi completing the front trio in a 4-3-3 formation. Man United will have to pick and choose their attacks in order to counter the threat posed by Barcelona. So Romelu Lukaku and Marcus Rashford will both need to take their chances. Anthony Martial could get the nod in behind, while Scott McTominay will come back in alongside Nemanja Matic and Paul Pogba in a defensively-minded midfield three. Messi couldn’t get on the scoresheet at Old Trafford. No matter. He remains the 1/2 favourite again here, with 23/10 about him netting a brace and 2/1 for him to Score First. That puts him ahead of Suarez at 19/20, although it’s the returning Dembele who piques our interest at 17/10. He has 14 goals to his name already this season. Pique is an outside shout at 13/2. United will be hoping Lukaku can repeat his Paris feats in Barcelona. The Belgian opened the scoring against PSG last month and is 8/1 to do so again here, or 13/5 to net Anytime. Martial represents another major threat. He’s a 14/5 chance to continue his good form this season. When: 8:00pm, Tuesday 16th April. View the latest Barcelona v Man United odds.